Pallet Amplifier 2010 Want complete broadcast transmitters? The UHF TV-5 is an ultra-linear Class A Pallet Amplifier. Three Gold Metallization system MOSFET gain stages provide.Typical Power gain of 26 dB at 7 Watts Peak-Sync. A Quadrature-combined Output provides an excellent match for the Pallet when integrating into a 50-Ohm system. the Pallet when integrating into a 50-Ohm system. The UHFTV-50 is a Linear Class AB pallet amplifier featuring Gold Metallized LDMOS-FET transistors.The UHFTV-50 can be used as an output PA @75W or a driver @30W. output PA @75W or a driver @30W with IMD’s of -60dB. Transistor with 50-ohm input and output impedance. The VHFTV-25-H provides 34 dB typical Gain with NTSC Full-Field Red Power output in excess of 25 Watts at -54 dBc IMD operating at +28VDC. The VHFTV-25-H offers No-Compromise performance for Band III VHF TV Transmitters integrators. Transistor, with 50-ohm input and output impedance. 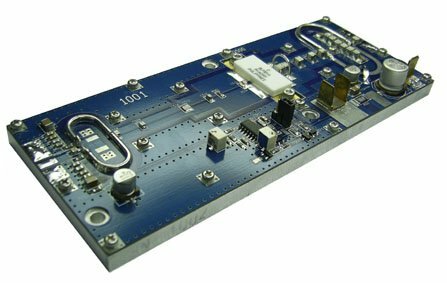 The VHFTV-200-H provides 16 dB typical Gain with NTSC Full-Field Red Power output in excess of 200 Watts at -54 dBc IMD operating at +28VDC. The VHFTV-200-H offers No-Compromise performance for Band III VHF TV Transmitters integrators. 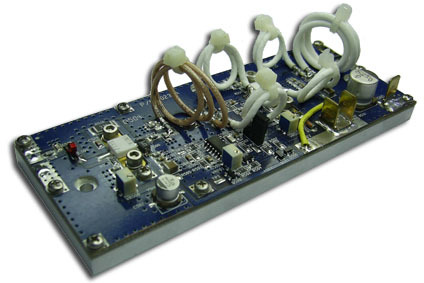 provides 16 dB typical Gain with NTSC Full-Field Red Power output in excess of 400 Watts at -54 dBc IMD operating at +32VDC. The VHFTV-400-H offers No-Compromise performance for Band III VHF TV Transmitters integrators. We thank you very much for your interest in our Pallet Amplifiers. Aerocomm is manufacturer for various pallet amplifiers for FM-TV-Communication applications. 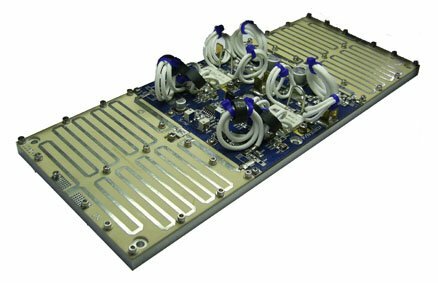 In addition, we manufacture microwave components such as isolator/circulator (70 MHz to 26.5 GHz), termination, combiner and splitter. We also have trading division to support our regional customers ( Thailand and all Asian countries) who want to buy other products from USA, Europe and others. Please feel free to contact us if you want to buy any microwave, broadcast, telecom, satcom, GPS, radio, test instruments, etc. products from us. These imported products could be shipped either direct from our affiliates' warehouse in USA/Europe or our warehouse in Thailand. The FM-350 is a Class C Pallet Amplifier providing CW Power output in excess 350 Watts. excellent choice for the new DAB market. The FM-700 is a Class C Pallet Amplifier providing 700 Watts CW Power output. 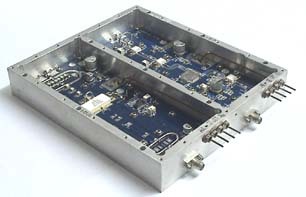 IMD’s of -30dB, making it an excellent choice for the DAB market. 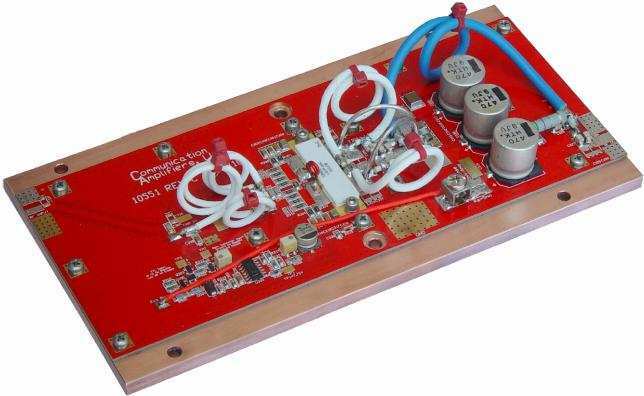 Aerocomm FM-300 ,300 Watt Pallet Amplifier is the simplest amplifier module on the maket. 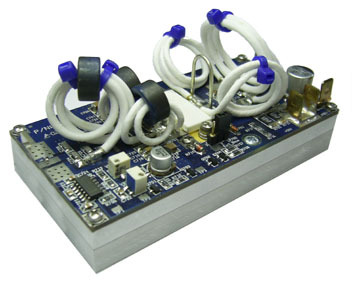 pallet amplifier for FM Broadcast (88-108 MHz). Gold plated printed circuit board, utilizing the latest 50Vdc, EXTREMELY RUGGED, LDMOSFET technology. 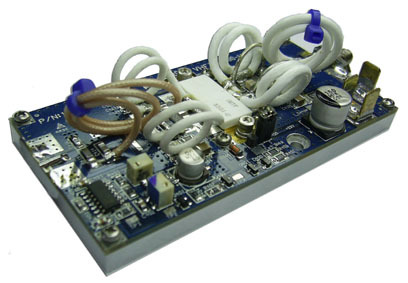 Like all Broadcast transmitting equipment this pallet amplifier is designed for continuous 100%duty cycle operation. 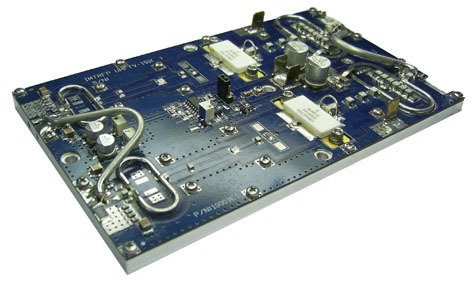 The HF-300-10110 is a 300 W 10-110 MHz broadband pallet amplifier,offering outstanding performance and reliability. The heart of this pallet is the NXP BLF278 50V RF power MOSFET providing high gain and RF power output in a small 3” x 4.5” x 1.25” footprint. The advanced Thermal Tracking bias circuitry allows for operation in Class A or AB with stable gain over temputure. The HF-300 is a 300W HF/VHF broadband pallet amplifier, offering outstanding performance and reliability. The heart of this pallet is the NXP BLF278 50V RF power MOSFET providing high gain and RF power output in a small 3” x 4.5” x 1.25” footprint. The advanced Thermal Tracking bias circuitry allows for operation in Class A or AB with stable gain over temputure. 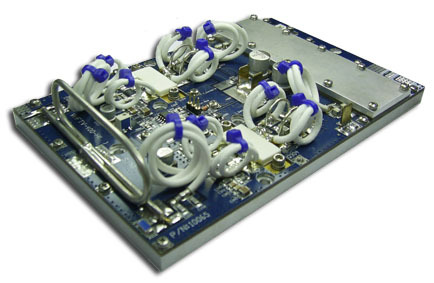 The LF-300 is a 300W 0.5 - 10 MHz broadband pallet amplifier, offering outstanding performance and reliability. The heart of this pallet is the NXP BLF278 50V RF power MOSFET providing high gain and RF power output in a small 3” x 4.5” x 1.25” footprint. The advanced Thermal Tracking bias circuitry allows for operation in Class A or AB with stable gain over temputure. 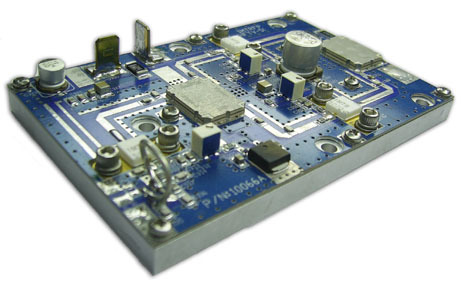 The HF-1000+6 is a 1000 Watt, 100% duty cycle, All Mode pallet amplifier for HF and 6 Meters (1.8 to 54MHz). This pallet is built on a copper heat spreader with a Gold plated printed circuit board, utilizing the latest 50V LDMOSFET technology. Like the amplifiers used in the Broadcast industry this pallet is designed for continuous 100% duty cycle. 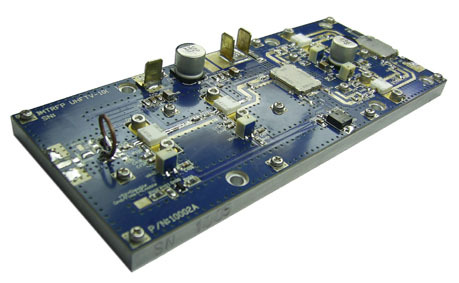 The UHF800-70cm is an 800 Watt, 100% duty cycle, All Mode pallet amplifier for 70 cm (420-450 MHz). This pallet is built on a copper heat spreader with a Gold plated printed circuit board, utilizing the latest 50V LDMOSFET technology. Like the amplifiers used in the Broadcast industry this pallet is designed for continuous 100% duty cycle. The VHF-1000-2M is a 1000 Watt, 100% duty cycle, All Mode pallet amplifier for 2 Meters (144-148 MHz). This pallet is built on a copper heat spreader with a Gold plated printed circuit board, utilizing the latest 50V LDMOSFET technology. Like the amplifiers used in the Broadcast industry this pallet is designed for continuous 100% duty cycle operation. All our pallets could be ordered with enclosure (amplifier modules). Please contact us for more details. We export our products through worldwide representative and dealer network. For countries not covered by our representative and dealer, please contact us directly. Our latest 2010 product catalog is available from our representative and dealer. Please send us an email to obtain the free catalog or download here. Please visit company homepage to learn more about our other businesses. Aerocomm's import division is exclusive representative and dealer for many high technology products from USA and Europe. We design and import system and products such as GPS (Global Positioning System), Laser Range Finder, Precision Time & Frequency, Avionics Telecom, Plasma Physics, Microwave Calibration System, Microwave components and systems, etc.